Learn more about what other educators are doing and practicing in their classroom. 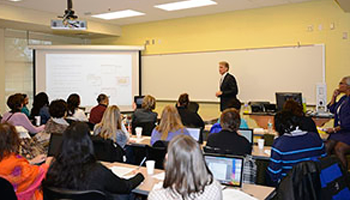 The Maryland Assessment Group is comprised of dedicated educators who speak at conferences to promote educational growth. Join our growing community and contribute to the improvement of education in Maryland. Dedicated to making our educational system better we invite exhibitors to sponsor our events. Registration includes a table and presentation. Get involved with the educational community by attending a conference from the Maryland Assessment Group. We are a nonprofit educational organization that brings educators together in the Sykesville, Maryland, area. Our key mission is to support the improvement of education throughout the state of Maryland. Our group of educators supports Maryland teachers to provide them with the best instructional practices for their classroom. 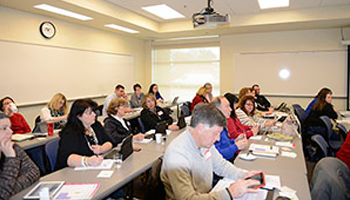 We offer two conferences a year, both of which bring educators together to hear about trends and education practices. We promote the best practices in school improvement, as it relates to research, educational assessment, curriculum design, and professional development. Join us at the Princess Royale! November 13th — 15th, 2019.